he biggest gaming news of the week? Well, probably the new trailers out of Quake Con. Or a StarCraft HD remaster. But no matter—you’ll find the rest here. This week, Techland announces it’s publishing a farming game, Overwatch celebrates the Olympics, Outlast 2 is delayed, and Take Two says Rockstar will reveal a new project “soon.” This is gaming news for August 1 – 5. If you’re playing Overwatch regularly then I’m sure you’re already aware, but Blizzard announced a time-limited promotion this week alongside the Rio Olympics. 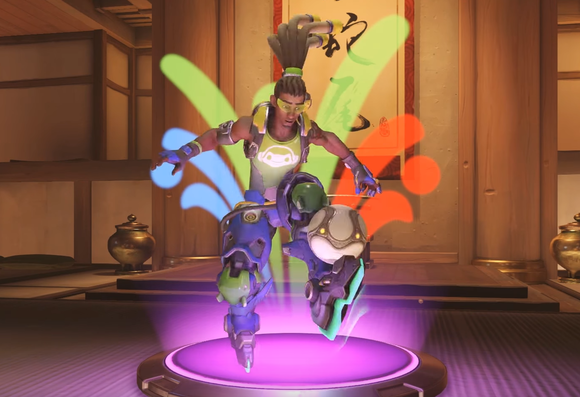 Known as the “Overwatch Summer Games,” there are special skins and a custom Lucio-only mode that apes Rocket League. It’s pretty fun. Unless you’re a Kickstarter backer for Battletech, I can in no way recommend you watch this “Backers Only” video with twenty minutes of “Super-Pre-Alpha” footage. Please cross your heart and hope to die that you won’t watch it illicitly. Okay, thanks. GameSpot sat in on Take Two’s earnings call this week. The big news? “Rockstar Games also is hard at work on some exciting future projects that will be revealed soon[emphasis mine].” Now whether “soon” means “in five years,” I don’t know. Still, it’s exciting. And with a knack for understatement, Take Two also noted that Battlebornunderperformed. Shocking. We’re starting to reach that point in the year where the flies start dropping, by which I mean games stealthily slide out of their “Fall, 2016” release dates and land somewhere in 2017. The latest casualty? Outlast 2. See you next year, hellish run-through-the-corn simulator. Does Manifold Garden look very pretty? Yes. Does it also look a lot like Antichamber? Yes. Even the indie games are getting in on live-action trailers now. Here’s one for Outreach. Elder Scrolls: Legends, Bethesda’s “Totally Not Hearthstone,” enters open beta this week. From what I’ve heard around the Internet, it’s actually surprisingly good. On the other hand you need to install Bethesda’s proprietary launcher to play the game so…meh. Have you heard the news? World of Warcraft’s big ol’ Legion expansion arrives at the end of the month. Not sure whether you should re-up your subscription? Well here’s Blizzard’s sales pitch, condensed down into a six minute video. For this week’s baffling news: I’ve reported on a lot of stupid collector’s editions of games in my time at PCWorld, but I must admit that I’ve never seen one that didn’t even include the game. Amazon’s new exclusive Battlefield 1 collector’s edition costs $130 and gets you a statue and some other doodads, but not the game itself. Fascinating. It’s great for anyone who wants to buy through Origin and play on day one, but what a weird system. I lied. There’s more baffling news. What do you do after creating one of the most successful zombie games of all time? Well if you’re Techland, apparently you go on to publish a…farming simulator. No, seriously. The studio behind Dying Light announced it’s publishing Pure Farming 17: The Simulator this week. It’s even real enough to have a teaser trailer, though I spent the whole thing waiting for the other shoe to drop. Like, maybe it’s actually a game where you farm zombies? There has to be a catch, right?